When taking all revenues and expenditures into account, the total net impact of the coal industry on the Pennsylvania state budget in Fiscal Year 2010-11 amounted to a net cost to the Commonwealth of $164.9 million. A Center for Coalfield Justice report entitled, “The Impact of Coal on the Pennsylvania State Budget” found that despite localized benefits in a few communities, coal plays a relatively insignificant role in Pennsylvania’s overall economy. Additionally, the report notes that the ongoing and future costs associated with the coal industry are a weight borne by Pennsylvania taxpayers for years to come. The report, by Morgantown-based Downstream Strategies, is online here. It’s similar to reports about coal’s impacts on state governments in West Virginia, Kentucky and Tennessee. The battle of the competing studies! One from anti-coal activists “Center for Coalfield Justice” and the other from the non-ideological, non partisan “Allegheny Conference on Community Development”. Both with rather radically different conclusions and assumptions. Why the differences .. who knows? In 2000, the Pennsylvania Economy League of Southwestern Pennsylvania, the Greater Pittsburgh Chamber of Commerce and the Pittsburgh Regional Alliance (PRA) entered into a strategic affiliation with the Allegheny Conference on Community Development. To say the report you cite was prepared by or for groups that are non-ideological is incorrect. As for the substance of the report you cite, I’ll read it before I comment. There is a significant difference between “prepared for” and “prepared by”. It was prepared by an non-partisan, non-ideological group with a long history of analyzing this kind of data. Do you have any sources, other than your own assertion, that the Allegheny Conference on Community Development has an ideological agenda? Do you have any credible sources that allege the Allegheny Conference on Community Development modified or skewed its report to conform to the demands or requests from “Families Organized to Represent the Coal Economy”. As a regular reader of Coal Tattoo, I have a suggestion for Mike H. Instead of doing the dueling reports thing, why don’t you read the report that Ken linked to and comment intelligently and critically on its content. Off the cuff claims about the supposed bias of one author or another doesn’t really add to the discussion here. This report is pretty gratuitously slanted against the coal industry of today. Indirect jobs created/supported by industry are a net cost to the Commonwealth (p.9). Really? Decades-old un-reclaimed mine lands are turned into costs (fair) and then amortized against the industry of today (unfair). To wade into the decade between Mike H and Ken, it does matter who funds reports of this type — read the obsequious acknowledgments of this report for example. Really what we’re commenting on here is fancied-up opinion journalism. The cover page says clearly the report was indeed prepared FOR the group Families Organized to Represent the Coal Economy, Inc., which is as I’ve described above, a pro-coal organization. The cover page also says it was prepared BY the group Pennsylvania Economy League of Southwestern Pennsylvania, LLC, which is the “research affiliate” of the Allegheny Conference on Community Development, which is in turn a coalition of pro-business groups (http://www.alleghenyconference.org/Affiliates.asp ). That’s all fine … but neither the authors of this report nor the group that requested the report can be accurately described as “non-ideological” as you attempted to describe them. That’s just false. From a very quick read of both reports, it’s pretty obvious that the difference here is similar to the difference between the reports on the coal industry’s economic benefits to West Virginia prepared for the coal association (http://blogs.wvgazette.com/coaltattoo/2010/02/04/coal-lobby-study-touts-industrys-benefits-to-wva/ ) and the report on the coal industry’s economic impacts on West Virginia’s state budget prepared by Downstream Strategies (http://blogs.wvgazette.com/coaltattoo/2010/11/15/revised-report-coal-still-costs-w-va-government/ ). The WV Coal Association report, prepared by researchers at WVU and Marshall, was simply aimed at counting up the POSITIVE impacts of the coal industry on jobs, tax revenues, etc. That’s a valid exercise, but it doesn’t tell the whole story. The Downstream Strategies report was aimed at looking at both positive and negatives — benefits and costs — to the WV state budget. That provides a more complete picture, albeit one that the industry isn’t too interested in us knowing about. The two Pennsylvania studies appear similar in design and scope, based on my quick read. Though the Pa. study you reference, Mike H., does appear to at least acknowledge some “challenges” created by the coal industry — mining injuries and deaths, environmental pollution and a legacy of abandoned sites that were reclaimed. The WVU-Marshall report didn’t even acknowledge any downsides to coal. Still, this report you cite hardly provides the sort of full accounting of costs and benefits that is needed for good decisions to be made. I’d be happy to have more comments about the substance of the reports, but no more picking on who did or didn’t write the reports or what their biases may or may not be … Bill Howley is right and we’re gonna take his advice. “Indirect coal industry employment generates a significant amount of revenues that benefit the state budget; however, just as the state budget supports direct employees through the provision of funding for health, education, public safety, transportation and infrastructure, and other services, it supports indirect employees to the same degree. To estimate the total state expenditures supporting indirect employment attributable to the coal industry, we apply the same method that we use to estimate expenditures for direct industry employees. Indirect employment attributable to coal accounts for approximately 0.3% of total state employment. After subtracting state expenditures for supporting the coal industry directly (on-budget items and repairs to roads and bridges damaged by coal trucks), we multiply 0.3% by the remaining state expenditures from the GF and MLF that were paid for with state-generated revenues. For more on the methods used here, see section 5.2 of the report. As the author of this report I apologize for not realizing that a discussion was happening yesterday. Thank you all for your comments. First, although I do not feel that it is necessary to defend our study, I figure perhaps it would be helpful to offer a few comments. All of the research we do at Downstream Strategies is data-driven. We do not publish anything that we do not feel is strongly defensible. If anyone has any questions or concerns about our methods, I am more than happy to address those. Second, we do not publish anything that can–upon an honest review of our work–be criticized as being biased. As I stated, our research is data-driven, and the data speaks for itself. We don’t have to twist or spin it, nor do we ever aim to. Our client did not come to us and ask us to find or present data that supported a pre-determined conclusion. Nor do we have a financial stake in the outcome of the study. So again, if anyone reads our report, examines our methods and still finds fault with anything, feel free to respond here or contact me directly at rmcilmoil@downstreamstrategies.com. Secondly, thank you Ken for pointing out that our report, just as the Allegheny Conference report, was produced “for” Center for Coalfield Justice, and not “by” Center for Coalfield Justice. That is an important point. While we appreciate the Center’s patronage, and hold their organization in high regard, the Center played no part in the research, writing, or editing of the report. That was all conducted by Downstream Strategies. I’ll respond to other comments with separate posts. Just to clarify for readers, what that statement means is that there are nearly 9,000 jobs directly supported by coal mines, and an additional 32,500 indirect and induced jobs supported at least partially as a result of coal-industry activity. The indirect jobs are those in supply industries such as machinery manufacturers. The induced jobs are those supported as a result of expenditures made by direct coal employees using the money they earn mining coal, such as at grocery stores, retail stores, etc. Each of those values represents reported direct jobs for 2010. If we wanted to be biased, we could have used the MSHA value. We decided to use EIA in order to (a) provide a value that represented somewhat of a median of the available data, and (b) maintain consistency in our use of data sources throughout the report. Now to address the indirect/induced and total employment values. The Allegheny report uses a multiplier of 3.77. In their report, they state that each direct job generated an “additional” 3.77 jobs. What that means is that you take the direct jobs (for them, 8,724) and multiply that value by 3.77 to get the total additional coal-supported jobs. That results in an additional employment impact of approximately 32,890 jobs. Adding the 8,724, you get a total impact of 41,613 jobs. Where our reports differ is in what the multiplier represents, and there is an issue here, although not on our part. What’s interesting is that both of our reports used the same economic impact multipliers–the RIMS-II multipliers provided by the federal Bureau of Economic Analysis. You can all read about the use of RIMS-II multipliers in both reports: page 29-30 in the Allegheny report, and page 44 and Appendix C on page 72 in our report. What seems to be the issue between the two reports is in the multiplier itself and in the application of the multiplier. So first, to address the multiplier used, both reports used the Type II multipliers, which is the appropriate Type to use. However, we used a multiplier of 3.01, while Allegheny used a multiplier of 3.77. This is not bias on our part. The difference is that Allegheny’s multiplier is from the older dataset, which is based on 1997 national data and 2006 regional data. That multiplier was indeed as high as represented by Allegheny–although there is more to discuss as I do below. However, our report used the most recent BEA RIMS-II multipliers, which are based off of 2002 national data and 2008 regional data. This was a necessary difference as the Allegheny report was published before the more recent multipliers had become available. Now, to address the “more to discuss.” At first I’d thought Allegheny had incorrectly applied the 3.77 multiplier. But they didn’t. The actual multiplier in the older dataset was 4.77, and you use that multiplier by multiplying the total direct jobs by the multiplier to estimate total coal-supported jobs, including indirect and induced. What they did was subtract 1 job from the multiplier, which represents the direct coal job. So their statement, using the older multiplier, that each coal mining job supports 3.77 other jobs, was correct. But their use of the multiplier was to estimate the job impact in 2010, and they did so using older RIMS-II datasets. Which again, they had no other option, so I recognize that. However, as our report used the most recent multipliers, our job impact estimates are inherently more accurate and up to date. I hope that resolves that issue. There is an important side note here. As noted, the total impact multiplier in the old RIMS-II dataset was 4.77. The total impact multiplier in the newest dataset is 3.01. That’s what we used. The implication of the difference between the two is that while 6 years ago, each coal mining job supported an additional 3.77 jobs, now each job only supports 2.01 jobs. That is a significant drop in terms of the offshoot economic impact of the Pennsylvania coal industry. Just to summarize, because all of that may be a bit confusing. The Allegheny report used an outdated multiplier of 4.77. Ours used the most recent multiplier of 3.01. The two reports used the same RIMS-II Type II multipliers, just from different years. Our report is more accurate because we had the most recent multiplier dataset available for our report. That is a long-winded response, but I hope it helps to explain the discrepancy, and to alleviate any concerns about our report being biased, at least in terms of the jobs created and supported by the PA coal industry. First of all, our report looked primarily at state revenues. That was the purpose of the report, to analyze the impact of the industry on the state budget. We did not look at federal tax revenues. We did, however, collect data on the local property tax impact in the largest coal-producing counties, which amounted to $4.4 million in 2010. That data was provided by As property taxes pretty much make up the entirety of county revenues, this represents virtually all of coal’s local revenue impact. See Appendix B on page 71 of our report. Second, our data for direct coal industry tax revenues came directly from the state Tax Department. I am more than happy to forward anyone the original email and spreadsheet they provided to us. As we report, the industry directly paid $10.9 million in taxes in fiscal year 2010-2011, while support industries (the indirect impact) paid an additional $15.6 million. Thus, the total revenue impact of coal companies and support activities amounted to $26.5 million. Adding on the local impact and we’re now at a total tax revenue impact of about $31 million. And again, this is all from data provided directly by state and local agencies. Now for the revenue impact of coal-related employment. Using the method described by Ken above, we estimate that direct coal industry workers generated $39.4 million in personal income, sales and use, transportation-related and other state taxes, while coal-supported (indirect/induced) workers contributed an additional $64.4 million. So the total employment-related revenue impact of coal amounted to an estimated $103.8 million. Adding it all together, we attribute a total of $134.9 million in tax revenues on the state and local level to coal-industry activity. While this may not be a precise estimate, it was based on all of the available data and information we had at our disposal, and upon sound acceptable methods given the limitations of the study. It is not likely that our estimate for employment-related activity is far off the actual value either, as all employees in the state pay the same tax rates. So the gap is not being covered by reclamation fees. And just based on my intuition I would doubt that it is being covered by payroll or corporate income taxes, but I cannot say for sure. I do stand behind our estimates of employment-related state tax revenues though, but I do welcome any well-reasoned arguments against our methodology. Mike H, I hope that addresses your second point. Finally, to the curious, to summarize your post, you state that our report is “gratuitously slanted against the coal industry.” I strongly disagree. You use as your example the fact that our report found that indirect jobs are a net cost to the commonwealth. This is actually fairly intuitive and to be expected. The primary reason is because our report assumes, as other such reports have assumed in the past, that state expenditures on citizens are, on average, spent on each citizen equally. However, because we all have different incomes and therefore pay higher or lower taxes than others, we do not all contribute to the state budget equally. This is the case when looking at direct coal jobs and indirectly supported jobs. Remember that indirect and induced jobs are included in our “indirect section,” just as they are in the total job impact estimates in the Allegheny report. Further remember that induced jobs include grocery store workers, retail managers, convenience store clerks, etc. These are all low-paying jobs, yet along with the indirect jobs, they account for 67% of the total job impact of the coal industry. If you read our report, you will see that the average coal miner made around $75,400 in 2010, while the average indirect/induced worker made $58,300. That is a significant difference when you’re talking about the average tax revenues paid by direct versus indirect/induced employees. However, the state spends an equal amount to support all of these workers, regardless of their tax revenue contributions. To estimate state expenditures on these workers we examined previous research conducted by the Kentucky Legislative Council that used the same estimation methodology (none could be found from PA researchers) and applied that to our report. So we did not just come up with our own magical method. And the results are what they are. I hope you now know that we did not gratuitously slant this part of our report. It was based on official data, and the method used was the same as a previous method used by state officials in Kentucky. As to your comment “Decades-old un-reclaimed mine lands are turned into costs (fair) and then amortized against the industry of today (unfair).” If you could show me where we amortized the future costs against the industry of today I would be interested in seeing that. We did not include the future unfunded costs of reclaiming abandoned mine lands in our calculation of the coal industry’s net impact for fiscal year 2010-11. We did write a separate section on Legacy Costs that addresses the issue of future funding shortfalls, and which notes what the funding shortfall is anticipated to be. However, again, this expense item was not included in our calculation of the industry’s net impact. If you look back at the report you will see that this is true. And finally, it should not matter who funds reports of this type, or of the type of the Allegheny Conference/FORCE report. Only the data and methodologies should matter. However, the reality is, as evidenced by this discussion, that apparently such details do matter to people. The disappointing result is that reports such as ours, or Allegheny’s, are viewed by reactionary people as biased, before the report is even given an open-minded and thoughtful examination. I openly admit that I respect the work of those who are promoting sufficient regulation, democratic participation, economic and social fairness, and economic diversification in coal-producing states and communities. I do not see that as a flaw in my character. However, I in no way allow bias to affect my research or the results. You can believe what you believe, but your beliefs only stand up to reason if you find any true fault in my use of data or the methods. Otherwise, there is no reason for me to pay your comments any regard. According to the IRS’s Corporate Source Book Guide, ALL active coal companies paid $196 million in federal income taxes in 2010. (see line 85 in spreadsheet). Thanks, Ted. I wonder where the NMA got their numbers then. Rory, thank you for your thoughtful and detailed response. I don’t mean to argue with your methodology, but I think it is worth pointing out to other readers/commenters that while you say, “If you read our report, you will see that the average coal miner made around $75,400 in 2010, while the average indirect/induced worker made $58,300” — for a point of comparison the median household income in PA is approx. $50-52K (http://quickfacts.census.gov/qfd/states/42000.html). So it seems that the average indirect/induced worker makes more than the average household, but is still a net cost? Hey curious, I really appreciate your response in return. This is the kind of discussion I was hoping for. First, to answer your question, it is necessary to get into the methodology in more detail. Our employment expenditures are based on a percent of the total labor force. We then apply that percentage to total state government expenditures that apply to all citizens equally: education, road construction and maintenance, health care, etc. A previous criticism of this methodology was that it overestimates the state cost for each coal miner or coal-supported job because it is based on a percent of the labor force and not a percent of the population. However, as I stated, our methodology was based on a similar study and methodology produced by Richard Sims for Kentucky. You can’t find that online but I am happy to share it with you if you email me. The justification is that each coal-supported worker, whether direct or indirect, has dependents (children, elderly, etc) that do not earn income and therefore do not contribute revenues. Only the workers do. The tax revenues contributed by workers thereby support all of society, including those dependents. Therefore, in turn, state expenditures to support the worker include those expenditures that support the workers’ dependents. That is how society works, so we agreed with that methodology and used it. We did not use it to amp up the expenditure estimates. We used it because it is a logical methodology, and the alternative method was less defensible as a method. So, that in a sense serves as an answer to your question. For any state, there is definitely a line where the revenues contributed by an individual exceed the state expenditures to support that individual and their dependents. As you can see from the net impact of the direct and the indirect/induced coal employment, that line is somewhere closer to the $75,400 income level than it is the $58,300 level. Which begs the question you asked, which I paraphrase: how can state expenditures for most workers in Pennsylvania exceed their revenue contribution? To re-state part of the answer, the expenditures represent expenditures for the worker and their dependents. But that begs the second and most important question–where does the extra revenue come from? The answer to that lies in Pennsylvania’s tax structure and the fact that the sales and use tax represents a large portion (28%) of state tax revenues. And while I don’t have the data to show this, I think we can agree that those who have more money spend more money, and therefore contribute a relatively greater amount of sales tax revenues. Pennsylvania taxes eight classes of income: (1) compensation; (2) interest; (3) dividends; (4) net profits from the operation of a business, profession or farm; (5) net gains or income from the dispositions of property; (6) net gains or income from rents, royalties, patents and copyrights; (7) income derived through estates or trusts; and (8) gambling and lottery winnings other than Pennsylvania Lottery winnings. So as you can see, and as we’d expect, lower income individuals aren’t likely to have much/any interest, dividends, profits from the operation of a business, or net gains from rents, royalties, etc. Therefore, we can again expect that the higher income taxpayers are contributing more revennues than they are costing the state in expenditures. Does this make sense? Lemme know what you think, and thanks again for the response. This is good to write it all out. To add to my previous post, it is important to point out that the personal income tax provides the greatest share of total state tax revenues (40%), with the sales and use tax coming in second at 28%. Thank you very much for really taking the time to reply to my last post / question. Your methodology definitely makes sense — In that I understand what you are saying/doing and I agree your point about consistency and comparability (as well as the point about using population numbers rather than labor force numbers). Essentially, due to the distribution of the tax burden, the break-even point is relatively high and most jobs are net costs in this way of looking. While this makes studies comparable and is internally consistent, I don’t think the causal reader (especially of the headlines) will really see this part. Do you think most citizens would consider a $50k+ job a net positive or a net negative? Finally, I think it is important to make clear that “Direct coal industry: Off-budget expenditures” is the big hitter in your summary totals and that this line item is described as “The largest expenditure is the sales and use tax exemption for the purchase of coal” (from the exec. summary) (~$150M). I think these tax treatments have to be considered in the larger context of government tax treatment and interests in other facets of the energy and power sectors. Given the Commonwealth’s historical desire to see affordable electricity rates, this could be thought of as a reasonable tax scheme. Is this tax treatment different from that afforded other fuels? Thanks again for taking the time to thoughtfully reply to my previous comments, Have a nice weekend! You have obviously given the report a good thoughtful read, and I can’t tell you how much I appreciate that. I think you’re the first commenter on any of my studies who has done so. I promise I will respond to this, no later than Monday evening. You bring up a lot of good points. And to be honest, this would be a great conversation to have sitting on a porch, particularly in relation to your question about “good jobs” that may bot be replaceable for certain communities. That is a key question, and unfortunately not one that our political representatives are giving enough attention. I’ll respond through this post, more for the benefit of any others who may be paying attention. But if you’d like to talk about this more, I have a great porch and make my own beer, or you can call me anytime at my office. (304) 445-7200. These are the questions that we hope to get people to think about when we do these studies. And I love brainstorming about them. So contact me anytime. Thanks again and I’ll respond soon. I appreciate your comment about the methodology. We definitely take great care to use defensible methods. You are correct that the casual reader is unable to pick up on the background details. Unfortunately it is difficult to toe the line between a highly technical and extremely long report, and one that presents what we hope is enough detail without making the report completely unreadable for the casual reader. Just as unfortunate is the fact that the net impact result becomes the headline, but if you want media to pay attention (which they largely didn’t for this report), you’ve gotta have a headline. On what I think is the most important point, if not for the coal industry, to be honest, we can’t really say what would happen to those jobs. Other industries might move in and them might not. Those workers might move to an adjacent county, or even to another state. Or, hopefully, if coal jobs decline, the state would invest in workforce training programs and attempt to attract new businesses to the area. Who knows. One thing I can say is that no county in Pennsylvania relies on direct coal jobs for more than 3% of total county employment other than Greene County (14%). That doesn’t account for the indirect jobs, but just using the multiplier to come up with a rough proxy, that means that most counties rely on coal for less than 10% of total employment. This is not to discount those jobs. For the miners and supported workers, those are real jobs. But the point of the report was not to say whether the coal industry should or should not exist, we made no statements in that regard. The purpose of the report was to determine whether the coal industry was providing a net benefit or a net cost for the state and its taxpayers. Part of that calculation is definitely related to the jobs, but one thing that is important to point out is that if the industry itself were contributing a greater amount of revenues, meaning the companies, then the net cost wouldn’t have been so large. For instance, if Pennsylvania had a severance tax like other coal-producing states do, and lets say that it is an equal tax as that collected in West Virginia (about a 4% effective rate), then the industry would have contributed approximately $149.2 million in tax revenues for the state in fiscal year 2010-2011. That right there would nearly eliminate coal’s net cost. The remainder could be made up by eliminating either of the two smaller tax exemptions that are provided to the coal industry. And to pre-empt any response about how taxing the industry more would cause companies to close mines or reduce production, we have language in the report summarizing previous research on the impact of natural resources taxes on production, and there hasn’t been any research showing a significant correlation. See the tax expenditure section starting on page 29, including footnote 6 on page 29. You have obviously given this some good thought. But you’d have to ask the question of what impact the tax exemptions have on the price of coal, and therefore the price of the electricity associated with that coal. For instance, if your current electricity price is 10 cents per kilowatt-hour, and you impose a coal severance tax with a net effective rate of 4%, then assuming that all of that coal is burned in Pennsylvania, you could roughly assume that electricity prices will rise from 10 cents to 10.4 cents per kilowatt-hour. Would you accept that modest increase if you knew that the severance tax was then being used to pay for more road repair, education, or health care? Or perhaps it could be used to pay for home energy efficiency improvements for low-income families? I think that’s a fair trade-off. Especially since the impact on electricity rates wouldn’t even be 0.4 cents per kilowatt-hour. Of the approximately 50 million tons of coal consumed for electricity generation in PA in 2010, only about half came from PA coal mines. So now your rates only increase to 10.2 cents per kilowatt-hour. And finally, the largest of the tax expenditures we report on, the sales tax exemption for coal, is only provided to coal. We cite the state code in our report. That exemption is not provided to any other energy industry in the state. However, without looking into the data, it is impossible for me to comment on what the net impact of other industries such as the natural gas industry might be. I do know that the state of PA is trying hard not to tax the natural gas industry either. But from what I can tell, the state does not exempt the sale of natural gas from the sales tax, only coal. Thank you again Rory for your thoughtful responses. I wish I could take you up on your generous offer of homebrew and an evening on the porch (both of which I am sure I would enjoy), but we’re quite a few miles, and a timezone, apart right now. I’m going to need a day or two to really reply. I appreciate what you are saying about headlines vs. details –and the challenge of communicating technical details of any kind in the media and political environment of today. I remain curious about the comparison to natural gas from a cost / use / tax perspective, but I know that is beyond the direct scope of your study and my knowledge as well. is why/how the indirect jobs look different for PA vs. WV? Could it be related to economic model assumptions driven by differences in the state economies, the roots and depths of the coal mining supply chain in the various states, etc? Do you have any thoughts or insight on this? Actually, you pretty much nailed it. The multipliers are more or less a reflection of industrial linkages, and those linkages are influenced to a large degree by the character and concentration of the industry. This might involve factors as complex as how state tax structures affect capital. Are the machines or component parts used in West Virginia mines manufactured or sold out of state? Or, it might involve how transportation methods (truck, river, barge) affect the economic impact. 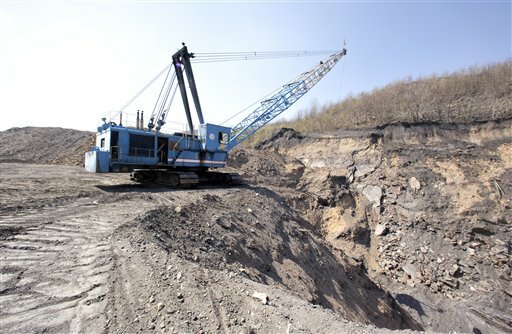 Any number of factors will influence the interconnection of other industries to the coal industry, and all of these taken together make the multiplier. I have never dug too deep into the RIMS-II model itself, but our company hopes in the near future to add IMPLAN to our tool kit and capabilities, so it might be that I’ll understand these linkages more at some point in the near future. Again, feel free to email me anytime with further questions. That might be the easiest way to get a hold of me from now on. It’s been great discussing all of these things with you.